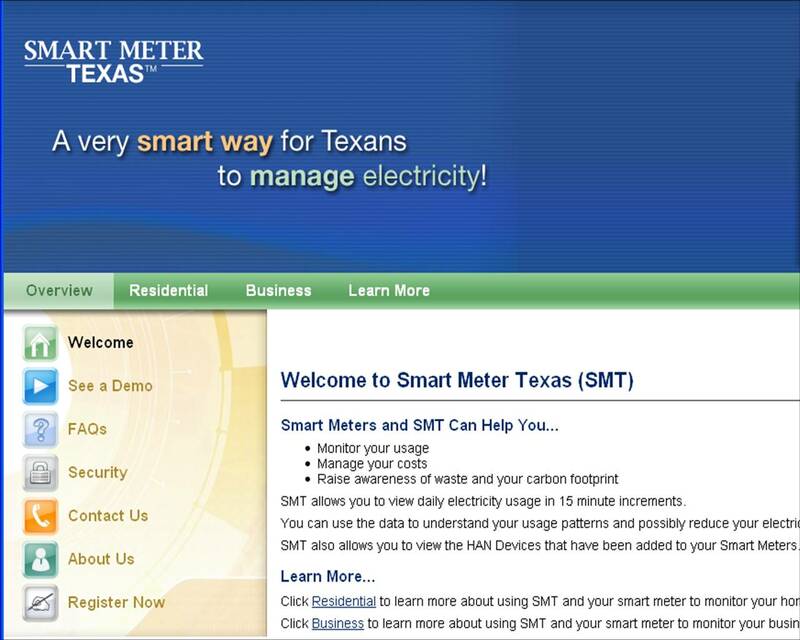 The Public Utility Commission has launched a new website called www.SmartMeterTexas.com that allows customers to track their energy usage in 15-minute increments to better understand their usage patterns and potentially decrease their electricity consumption and costs. After several years of behind the scenes work, this is the first step in smart grid, or advanced meter technology that’s being rolled out. The website is only available to customers that have had digital smart meters installed, of course. Have your most recent electric bill on hand when you log in to establish proper identification. As of Tuesday, 1 million customers in the Oncor and Centerpoint territories can use the site — and eventually more than 6.3 million Texans will be able to manage their energy use through the site.